Dual Exit Cat Back System. Your standard exhaustwill have restrictions within the exhaust boxes, known as baffles & chambers. One of the aims of this type of exhaust box is to reduce the sound level with intersections & sound absorption material. This kit has been specially designed and developed to fit the Lexus is300, Every part you need to turbo your Lexus is supplied, you won't even need to buy a nut or bolt to fit this kit, all the parts are included in the kit. The silencers utilises a ‘free flow’ design for optimum performance and a distinctive V8 tone. Sounds great without being too noisy inside the car. 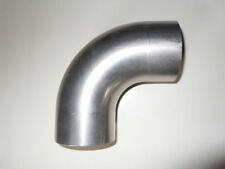 LEXUS SC 430. polished stainless steel throughout, only mandrel pipe bends are used which do not reduce the bore of the pipe. 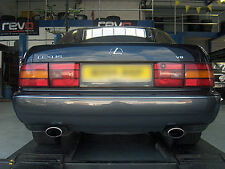 LEXUS LS400 LS430 LS450 LS600 BESPOKE REAR EXHAUST SYSTEM STAINLESS STEEL EXHAUSTS SILENCERS. TAKES 4.5 HOURS START TO FINISH IN LEEDS. REAR SILENCERS ALONE £130 EACH. FRONT PIPES FLEXIBLE SECTIONS AND CATALITIC CONVERTORS. LEXUS IS200 IS220 IS300 BESPOKE REAR EXHAUST SYSTEM STAINLESS STEEL EXHAUSTS SILENCERS. TAKES 4.5 HOURS START TO FINISH IN LEEDS. REAR SILENCERS ALONE £130 EACH. FRONT PIPES FLEXIBLE SECTIONS AND CATALITIC CONVERTORS. TAKES 2.5 HOURS START TO FINISH IN LEEDS. LEXUS LS460 BESPOKE REAR EXHAUST SYSTEM STAINLESS STEEL EXHAUSTS SILENCERS. REAR SILENCERS ALONE £130 EACH. WILL IMPROVE PERFORMANCE AND THAT ALL IMPORTANT MILES PER GALLON. 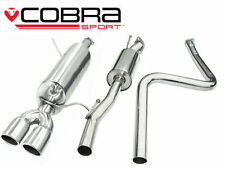 LEXUS SC430 CAT BACK BESPOKE EXHAUST SYSTEM STAINLESS STEEL EXHAUSTS SILENCERS. REAR SILENCERS ALONE £150 EACH. COURTESY CARS AVAILABLE. FRONT PIPES FLEXIBLE SECTIONS AND CATALITIC CONVERTORS. IS200 SYSTEMS AT £279. LEXUS LS460 BESPOKE REAR EXHAUST SYSTEM STAINLESS STEEL EXHAUSTS SILENCERS. REAR SILENCERS ALONE £130 EACH. TAKES 2.5 HOURS START TO FINISH IN LEEDS. COURTESY CARS AVAILABLE. This kit has been specially designed and developed to fit the Lexus is200, Every part you need to turbo your Lexus is supplied, you won't even need to buy a nut or bolt to fit this kit, all the parts are included in the kit. IS200 SYSTEMS AT £279. LEXUS GS430 BESPOKE CENTRE AND REAR EXHAUST SYSTEM STAINLESS STEEL EXHAUSTS SILENCERS. 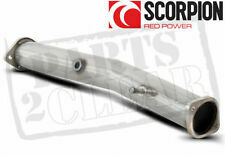 REAR SILENCERS ALONE £130 EACH. OVER 87 DIFFERENT DESIGNS TO CHOOSE FROM. FRONT PIPES FLEXIBLE SECTIONS AND CATALITIC CONVERTORS. Genuine, in good working condition. 1x turbochatrger gt45. 92-00 Lexus SC300. 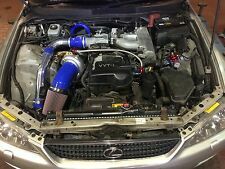 01-05 Lexus IS300. 93-05 Lexus GS300. 93-98 Toyota Supra Mark-IV. Exhaust manifold This manifold is made for the Non turbo vehicle. This is what is needed to add a turbo to the car. Lexus IS200 OEM chrome exhaust tailpipe tip/trim. Good used condition, see photos. To fit, simply slide over exhaust and tighten grub screw with an Allen key. Allen key not supplied, you'll need your own! Dispatched with Royal Mail Signed For® 2nd Class. ModelIS 250 F SPORT. WE ARE NOT BREAKERS and all parts are resold in the state they were acquired. PART WAS REMOVED FROM. A search tool may be included in this advert to help clarify suitability. WILL IT FIT MY CAR?. LEXUS GS450 BESPOKE REAR EXHAUST SYSTEM STAINLESS STEEL EXHAUSTS SILENCERS. REAR SILENCERS ALONE £130 EACH. TAKES 2.5 HOURS START TO FINISH IN LEEDS. FRONT PIPES FLEXIBLE SECTIONS AND CATALITIC CONVERTORS. LEXUS GS450 BESPOKE REAR EXHAUST SYSTEM STAINLESS STEEL EXHAUSTS SILENCERS. TAKES 4.5 HOURS START TO FINISH IN LEEDS. REAR SILENCERS ALONE £130 EACH. FRONT PIPES FLEXIBLE SECTIONS AND CATALITIC CONVERTORS. 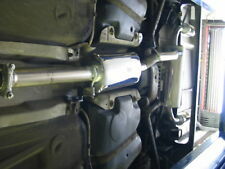 LEXUS CT200 RX400 RX350 XT200 BESPOKE REAR EXHAUST SYSTEM STAINLESS STEEL EXHAUSTS SILENCERS. FOR FULL SPECIFICATIONS CALL. REAR SILENCERS ALONE £130 EACH. FRONT PIPES FLEXIBLE SECTIONS AND CATALITIC CONVERTORS. LEXUS LS460 BESPOKE REAR EXHAUST SYSTEM STAINLESS STEEL EXHAUSTS SILENCERS. REAR SILENCERS ALONE £130 EACH. WILL IMPROVE PERFORMANCE AND THAT ALL IMPORTANT MILES PER GALLON. FRONT PIPES FLEXIBLE SECTIONS AND CATALITIC CONVERTORS. TAKES 2.5 HOURS START TO FINISH IN LEEDS. LEXUS LS460 BESPOKE REAR EXHAUST SYSTEM STAINLESS STEEL EXHAUSTS SILENCERS. REAR SILENCERS ALONE £130 EACH. FRONT PIPES FLEXIBLE SECTIONS AND CATALITIC CONVERTORS. IS200 SYSTEMS AT £279. LEXUS GS300 CENTRE SCETIONS AND REAR SECTIONS EXHAUST SYSTEM STAINLESS STEEL EXHAUSTS SILENCERS. REAR SILENCERS ALONE £130 EACH. OVER 87 DIFFERENT DESIGNS TO CHOOSE FROM. FRONT PIPES FLEXIBLE SECTIONS AND CATALITIC CONVERTORS. LEXUS LS460 BESPOKE REAR EXHAUST SYSTEM STAINLESS STEEL EXHAUSTS SILENCERS. REAR SILENCERS ALONE £130 EACH. FOR FULL SPECIFICATIONS CALL. OVER 87 DIFFERENT DESIGNS TO CHOOSE FROM. FRONT PIPES FLEXIBLE SECTIONS AND CATALITIC CONVERTORS. FRONT PIPES FLEXIBLE SECTIONS AND CATALITIC CONVERTORS. LEXUS LS460 BESPOKE REAR EXHAUST SYSTEM STAINLESS STEEL EXHAUSTS SILENCERS. FOR FULL SPECIFICATIONS CALL. WILL IMPROVE PERFORMANCE AND THAT ALL IMPORTANT MILES PER GALLON. FRONT PIPES FLEXIBLE SECTIONS AND CATALITIC CONVERTORS. LEXUS LS460 BESPOKE REAR EXHAUST SYSTEM STAINLESS STEEL EXHAUSTS SILENCERS. FOR FULL SPECIFICATIONS CALL. REAR SILENCERS ALONE £130 EACH. OVER 87 DIFFERENT DESIGNS TO CHOOSE FROM.